The brutal cut by the current Government to EMA has had a very deep impact on people being able to attend college. Cornwall Council has by means of the Cornish Bursary tried to address this. Sadly, as with most things today, there is not enough money to fully solve this issue. However, the good news is Cornwall College will now be able to offer free travel to students whose household income is under £31,000 per year. This offer from the college is fantastic news and has been helped by the money given to the college from Cornwall Council’s bursary project. Hopefully the free travel will enable more people to access the courses and education that might not otherwise happen because not being able to afford to attend, or travel to college. This bursary for travel starts September 2012. Hopefully other colleges will follow suit. I blogged this morning about my concern and unhappiness with the Concessionary Fares Inquiry Day being not open to the public. I felt this would not been the best course of action for the public. So much so, I wrote an email to the Chairman of the Committee asking him to hold the meeting in public. I am now pleased to say the Chairman has agreed with me, and now the meeting will be open to the public. I think this is the right course of action, and I would further like to add my thanks to the Chairman of the Scrutiny Committee for agreeing this meeting should be open to all. 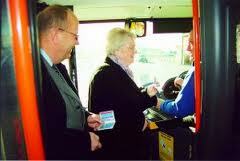 I have previously blogged about the proposed Inquiry Day on concessionary bus fares. This inquiry will take place on the 19th of August. Sadly, this meeting will not be open to the public or the press. I had hoped that this meeting would be web-casted because of the importance of the subject, but it will not, nor will anyone not included in the proceeding be allowed to attend. I am very disappointed with this decision because I really feel meetings like this should be open, especially as it could effect near 20% of Cornwall’s population. I find this a poor excuse, as for any really sensitive information you could stop the web-cast. I am also wondering what commercially sensitive information will be discussed. We know how much Cornwall Council spends on fares, and we know how much the Council wants to reduce it to. So who are we protecting, the bus companies? The CCTV Inquiry Day was also behind closed doors, and look at the mess that turned into. If you allow the meeting to be open, the public will be able to understand what is going on, and more importantly, not think something underhand is taking place. There is one saving grace, and that is any findings that come out of this Inquiry Day will be included in a report for E and E Scrutiny Committee which will take place on the 7th September. Still, it does not make up for this meeting taking place behind closed doors. It’s been a long time since I have had to rely on public transport as luckily I have a car, but this week has brought home to me how difficult it is get around if you don’t have a car, or access to one. I have had to rely on public transport because my car is very poorly with its head gasket gone. Because a lot of my work as a Councillor is not in my local area, I have to travel. The big drawback to this is without a car I have to use the bus. I would like to use the train, but the nearest stations in Penzance or Camborne are over 15 miles away. So I have to get a bus to get to the station. Porthleven is hardly what I call remote; I would say there is an hourly service to Helston, some 3 miles away. 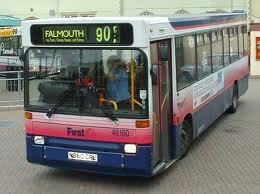 This bus travels from Penzance to Falmouth. So its not that bad as long as you have plenty of free hours to a) wait and b) the time it take to get to a place. It’s just if you need to get to other places a problem arises. At a recent Community Network meeting we discussed transport and buses. Sadly at this meeting First (the bus company) failed to send any senior managers to answer questions, even though they promised, but at the 11th hour they sent one of the general staff who could not speak on anything because he was not really in a managerial role that would have access to that type of information. All he said (no fault on him) I will take that question back to my boss. I would never expect a public transport service like you get in a large city (would be nice though), but it would be nice to get one that enables you to get around without spending many hours waiting and travelling around in the aim of trying to get to somewhere that is only 20 miles away. The Government and to an extent Cornwall Council bangs on about ‘Green Travel Plans’ and how people should stop using their cars, but what is the alternative? People are not going to stop using a car because the alternative is just not there. As for the price of a bus ticket, this is more expensive that using a car. That just makes no sense at all. I travelled back from Helston (3 miles) with my son. It cost £3.90 for both of us one way. Hardly a cheap method to travel around. Its just not affordable to use a bus as a regular means of travel. Personally I would be more than happy to pay more in Council Tax, or dare I say it in parking charges if that money went directly to fund better public transport. I would not have a problem with that. I have to say it’s not until you have to try something you really know how difficult it can be. For me, I am looking forward to getting my car back; as I don’t really think I could cope without it until things change in public transport.